To be used with Vbar Control Radio. 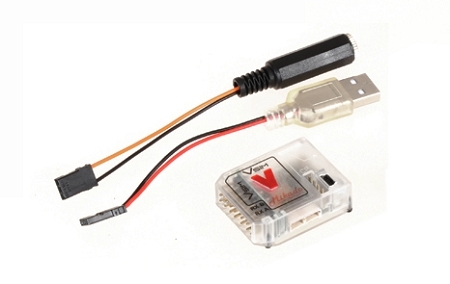 I bought this so that I can use my VBar Control with the Phoenix flight sim. It works great. Previously, I used my old radio on the sim, but then flew using my VBC. However, my old radio has less collective throw so after practicing on the sim I found myself under estimating the amount of collective required in actual flight. It's great now to be able to use my VBC for both simming and flying. Also, I may be imagining it, but the sim feels even smoother with the new wireless link compared to the previous cable link.